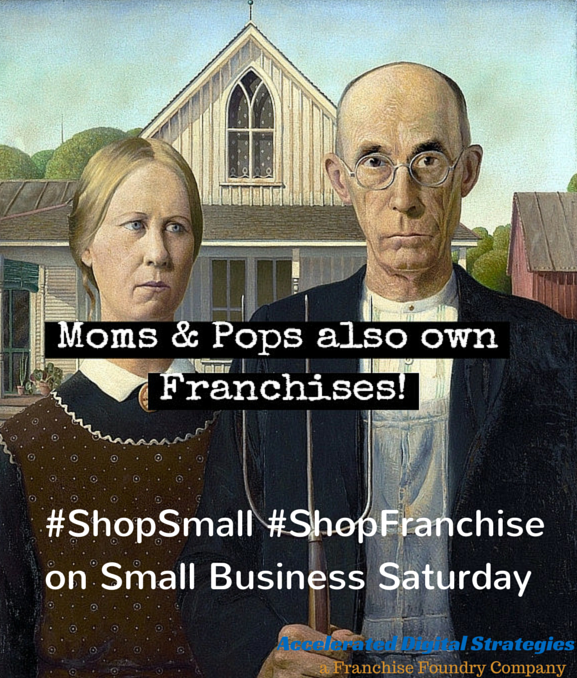 To create awareness that franchises are as much small business as the ones owned by Moms & Pops across America, I suggest using the hashtags #ShopSmall #ShopFranchise in line with each other on any and all social media activity during Small Business Saturday by American Express. 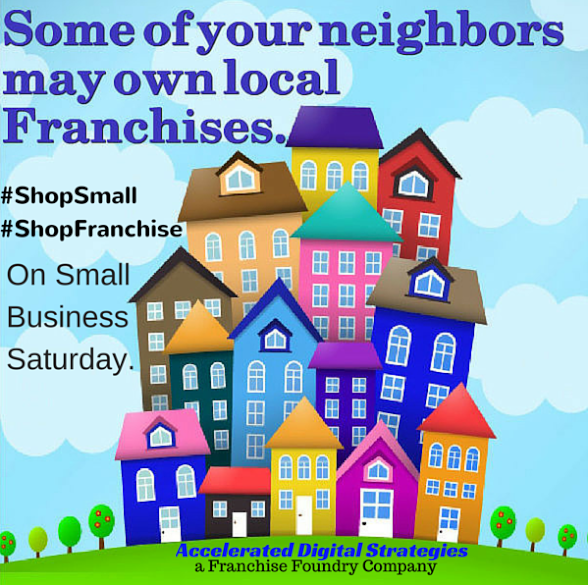 To assist, I’m sharing some graphics below that can be used in these efforts. In addition to utilizing them please LIKE and SHARE whenever and wherever you see them on others’ social media before, during and after the event. 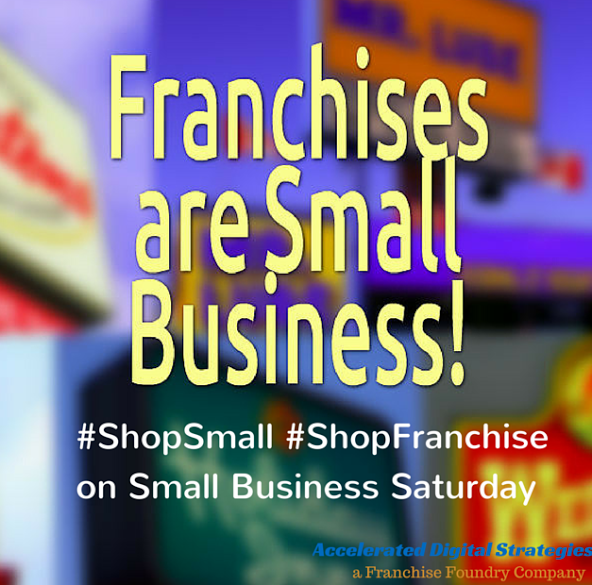 It is very important franchising be recognized as a cornerstone of small business and a vital component to continued economic recovery. Your assistance is greatly appreciated. 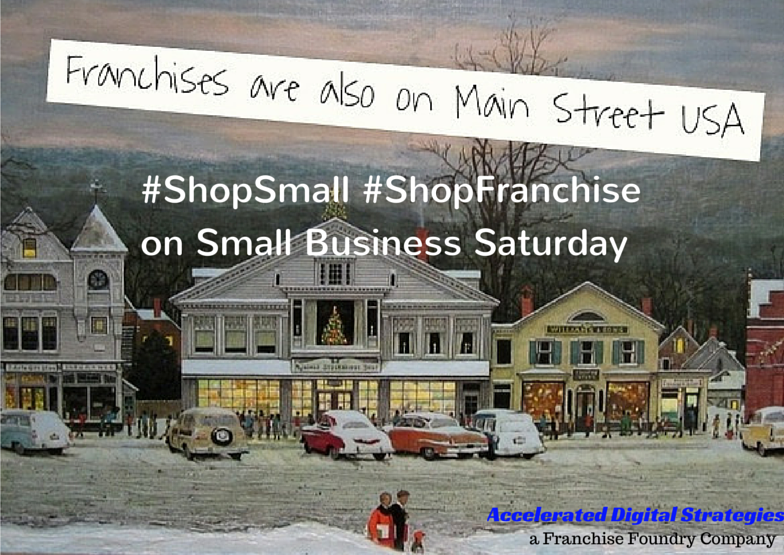 Franchising and AMEX Small Business Saturday… Making Progress?